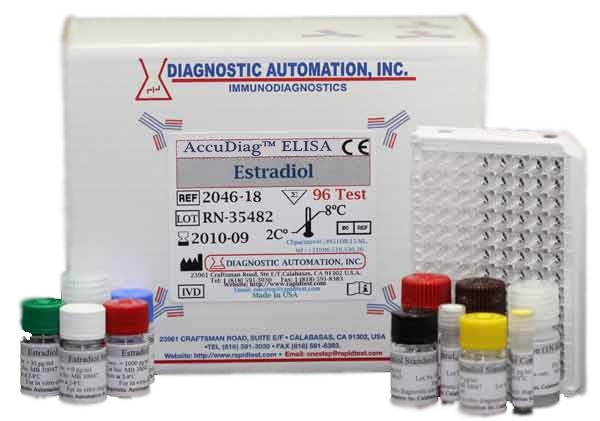 Estradiol elisa kit | CE-GMP | 818-5913030-USA. 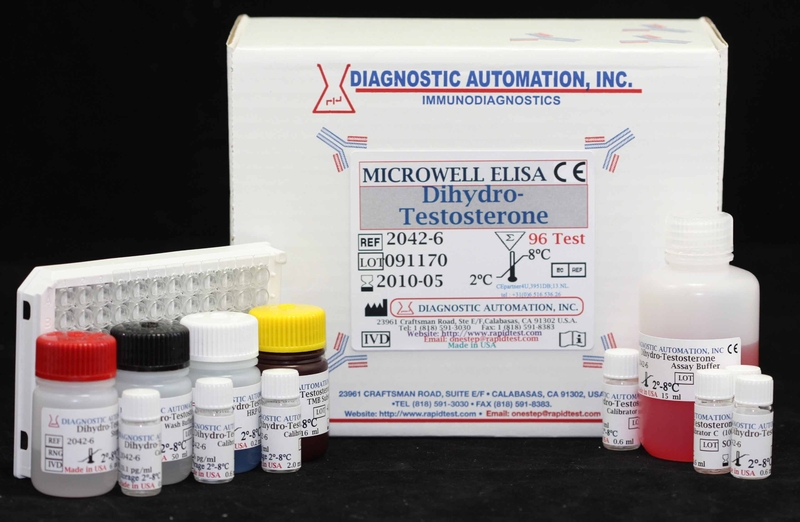 The Diagnostic Automation Estradiol ELISA test kit is a competitive immunoenzymetic colorimetric assay for quantitative determination of Estradiol (E2) concentration in human serum. Estradiol (E2) is a C18 steroid hormone with a phenolic A ring. In non-pregnant women with normal menstrual cycles, estradiol secretion follows a cyclic, biphasic pattern with the highest concentration found immediately prior to ovulation. The rising estradiol concentration is understood to exert a positive feedback influence at the level of the pituitary where it influences the secretion of the gonadotropins, FSH, and LH which are essential for follicular maturation and ovulation, respectively. Following ovulation, estradiol levels fall rapidly until the luteal cells become active resulting in a secondary gentle rise and plateau of estradiol in the luteal phase. During pregnancy, maternal serum Estradiol levels increase considerably, to well above the pre-ovulatory peak levels and high levels are sustained throughout pregnancy Serum Estradiol measurements are a valuable index in evaluating a variety of menstrual dysfunctions such as precocious or delayed puberty in girls and primary and secondary amenorrhea and menopause Estradiol levels have been reported to be increased in patients with feminizing syndromes gynaecomastia and testicular tumors. In cases of infertility, serum Estradiol measurements are useful for monitoring induction of ovulation. 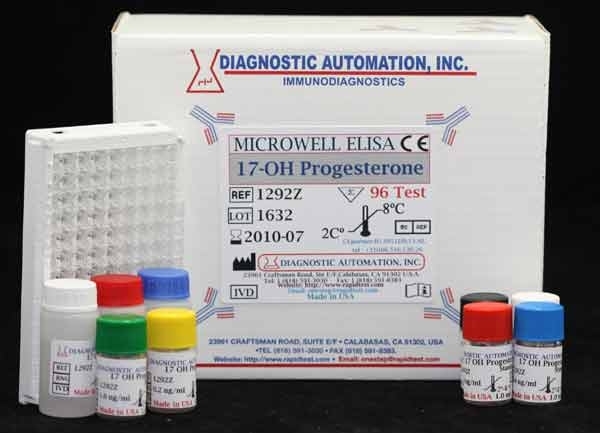 The Diagnostic AutomationE2 EIA is an ELISA assay based on the principle of competitive binding between E2 in the test specimen and E2-HRP conjugate for a constant amount of rabbit anti-Estradiol. 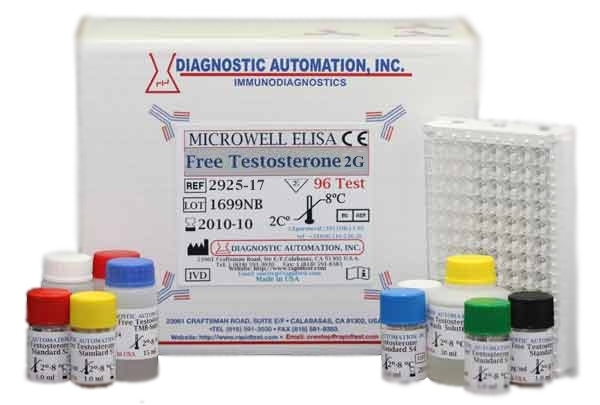 In the incubation, goat antirabbit IgG-coated wells are incubated with E2 standards, controls, patient samples, Estradiol-HRP Conjugate Reagent and rabbit anti- Estradiol reagent. During the incubation, a fixed amount of HRP-labeled E2 competes with the endogenous E2 in the standard, sample, or quality control serum for a fixed number of binding sites of the specific E2 antibody. For additional details please refer to the instructions for use. 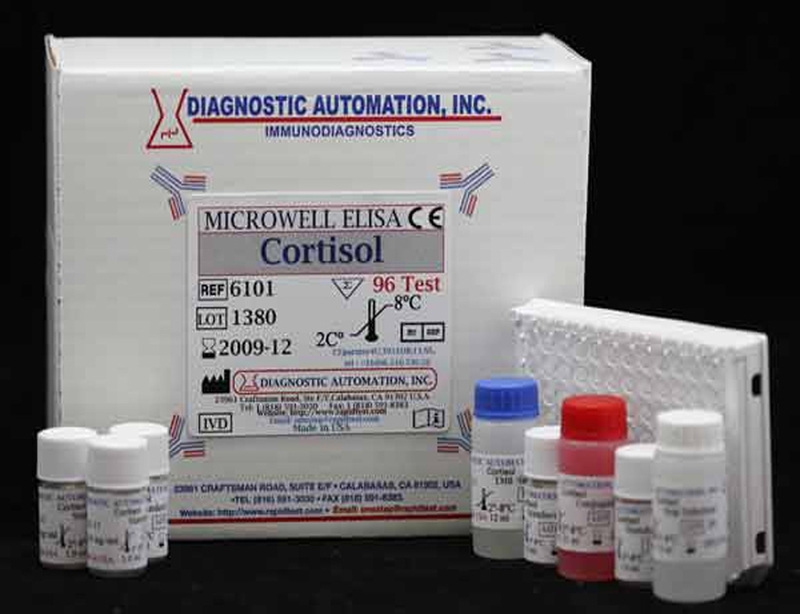 Diagnostic Automation Estradiol (E2) EIA kits are designed for the measurement of total Estradiol in human serum. 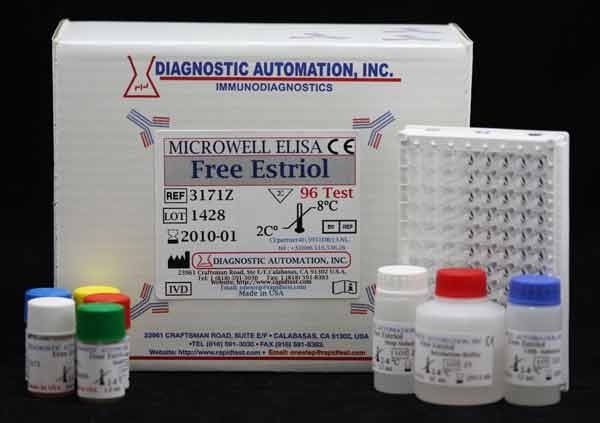 In this Estradiol ELISA Test Kit, it is recommended that the wells be read within 15 minutes following addition of Stop Solution.